If you think you’ll get snow board (soz) of drizzly city life this winter, there’s only one thing you should be doing—hitting the slopes. There’s nothing like escaping the urban grind and cruising down a sheet of fresh powder on a bluebird day. 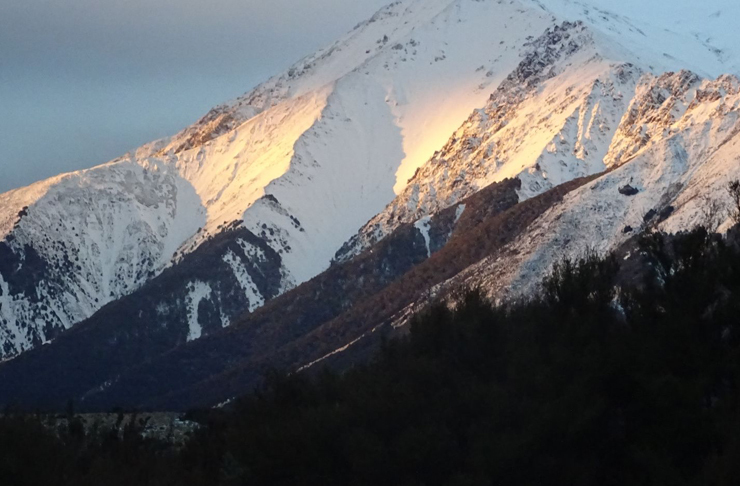 Luckily, New Zealand is home to some of the best ski fields in the world. Whether you’re a seasoned shredder or testing out your (possibly wobbly) ski legs for the first time, hire some skis, chuck on a merino and head to these seven slopes this winter. While Wanaka is great to visit at any time of the year, winter is when things really crack into action. 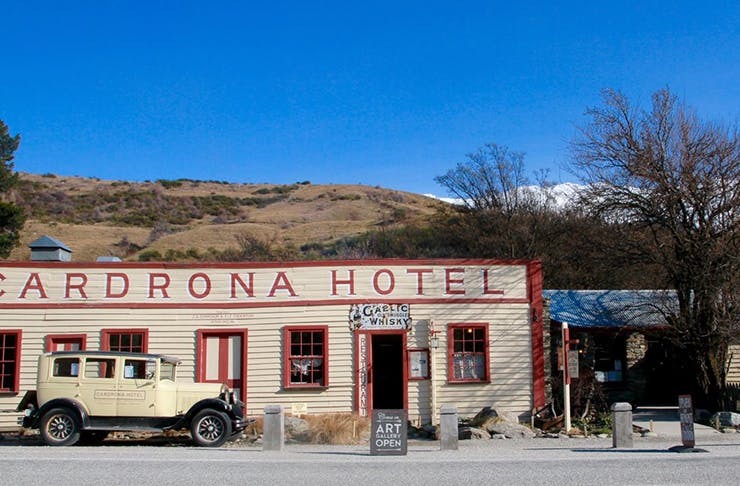 Cardrona is a gem of a ski resort offering terrain for families with little ones, mates on a weekend ski trip and people just looking to get their mountain fix. It’s an easy drive from Queenstown or Wanaka and plenty of buses leave from Wanaka township in the a.m. There’s an awesome beginner’s area and lessons for every age and level as well as a selection of green, blue, black and red (for all you hard-core off-piste folk) trails to tackle. When there’s enough snow, the long Valley View run is the place to be. Treble Cone, or TC as the locals call it, is heaven for experienced skiers. It’s the largest ski area in the South Island, famous for its long un-crowded runs (including the 4km High Street/Easy Rider run), off-piste terrain and sprawling views over Wanaka. The Saddle Basin and Summit Slopes are a playground for skiers and snowboarders looking for natural half pipes and drops while the Motatapu Chutes let you explore the beautiful backcountry. TC also has a super speedy six-seat express lift. Two other awesome options in the South Island are Coronet Peak and The Remarkables. 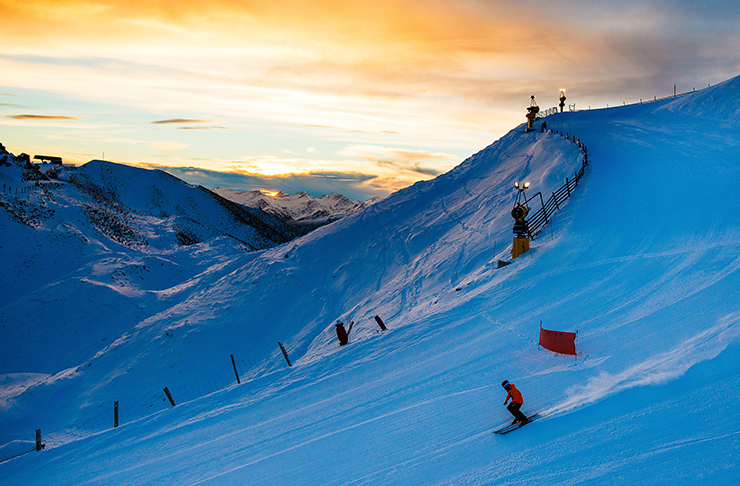 Coronet Peak will take you from downtown Queenstown to the slopes in just 20 minutes—basically a ski lover’s dream. Once there you’ll be able to carve it up on the terrain parks, meander down the runs or ditch the skis and spend some time at the tubing park. The best thing about Coronet Peak? It’s open for night skiing on Friday and Saturday. It takes a bit longer to get to The Remarkables (although it’s still only 35 minutes) yet with seven trails and three terrain parks, it’s a ski field that you won’t want to leave. The 220 hectares of terrain is split into 30 per cent beginner, 40 per cent intermediate and 30 per cent expert so there’s no chance of missing out. Après ski tipples can be enjoyed from the on mountain ice bar and a coffee bar, café and restaurant cater for both quick bites and well deserved long lunches. Eat | Fergburger, Madam Woo, Rata Dining, Winnies Gourmet Pizza Bar and Botswana Butchery. Did we mention Fergburger? Fergburger. With 365 hectares of skiable area, Canterbury’s Mt Hutt continues to be one of the most popular ski fields in New Zealand. 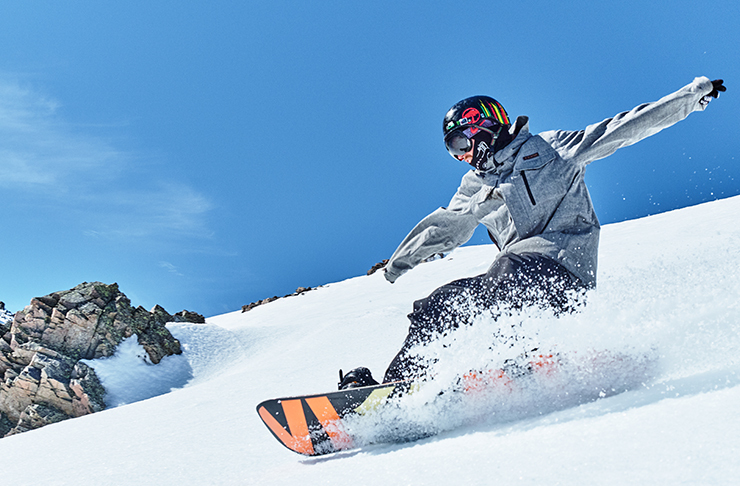 In just a 90-minute drive from Christchurch you’ll be treated to top-notch conditions, great terrain and laid back Kiwi hospitality to help you make the most out of your Mt Hutt experience. You’ll find four freestyle parks and the Skiwiland Early Learning Centre, which will have your sprogs going from pizza to fries in no time. Skiing zaps the energy levels but there are two restaurants and a coffee shop on the mountain to refuel at. Mt Hutt has picked up the nickname ‘Mt Shut’ over the years due to closure from poor weather. Even when it’s open, it can get pretty damn chilly so make sure you rug up with a merino or two! Stay | There are plenty of accommodation options in Methven (a 40-minute drive to Mt Hutt) and the Mt Hutt Lodge is just 30 minutes from the mountain. Alternatively, book a holiday house around the area. Eat | Pop in for a hearty post-ski feed at the Brown Pub or sit down for a coffee and breakfast at Arabica in Methven. Advanced and expert riders, listen up. Craigieburn is your snow mecca in New Zealand. Located between Springfield and Arthurs Pass, Craigieburn exists solely for the purpose of skiing and snowboarding—it’s non-profit and run by club members and dedicated seasonal staff— so don’t expect to find any fancy pants chairlifts, grooming or eateries here. Instead there’s world-class off-piste skiing, vertical metres and plenty of pristine backcountry. Some of the runs require you to walk up the mountain before you ski it (just casual) and some are labelled as ‘Tricky Stuff’ so make sure you know what you’re doing before you head to this beast of a mountain. Stay | There are dorm bed and private room options on the mountain including breakfast and a three-course dinner. Or stay off the mountain at the beautiful Flock Hill Station. Eat | With no eateries up on the mountain, you’ll find the nearest restaurant at Flock Hill Station. Proudly known as New Zealand’s largest winter playground is Mt Ruapehu. With Whakapapa ski area located on the northern slopes and Turoa on the southern, a lift pass gives you access to both, which means more terrain, more choice and more freedom for you to get your snow bunny on. Turoa, however, is home to New Zealand’s highest chairlift, the Highnoon Express and a whopping 25 black and black diamond runs of wide sweeping terrain. Happy Valley on Whakapapa is everything a learner could want and there are 30 groomed trails to try once you’ve nailed the basics. 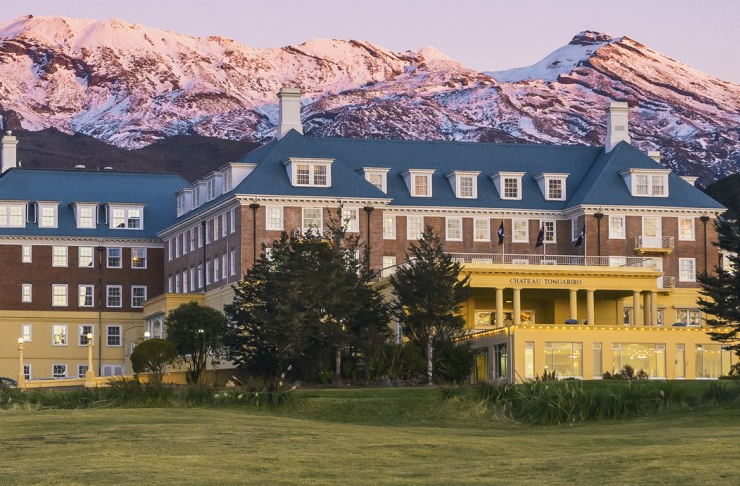 Stay | The timeless and elegant Chateau Tongariro Hotel dates back to 1929 and is worth splashing out on. Otherwise, you’ll find plenty of places to stay in Ohakune. Eat | Check out The Bearing Point Restaurant & Bar, Eat, Powderkeg and OCR Café.